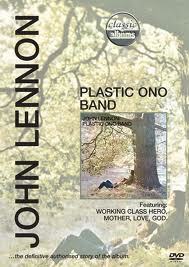 Imagine Having Coffee With John Lennon’s Drummer! 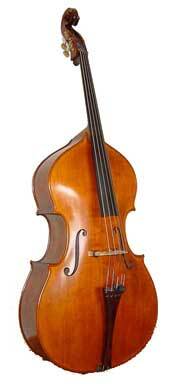 I’ve been a musician for many, many years. 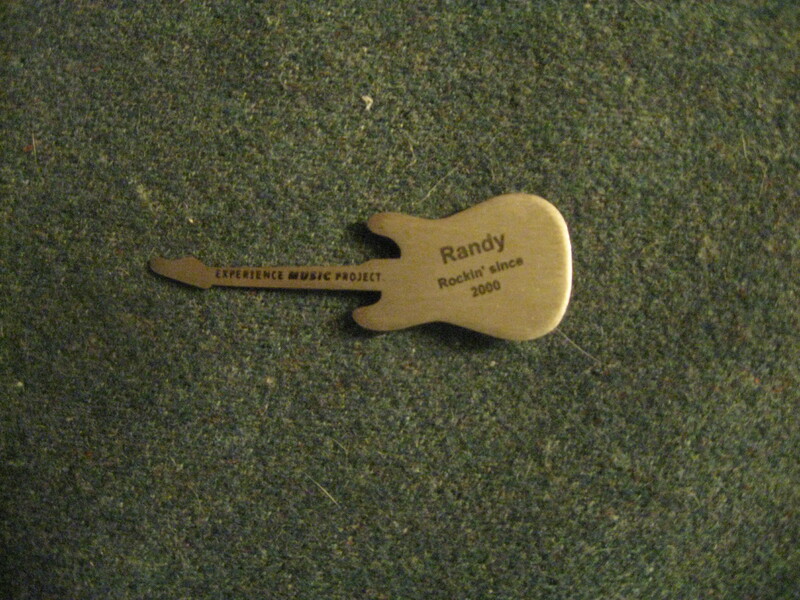 I’ve played thousands of gigs. But I’ve also worked in customer service. 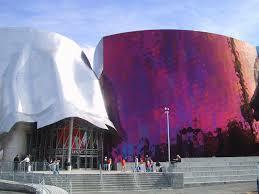 I was fortunate to combine aspects of both of those careers at Seattle, Washington’s Experience Music Project, where I was employed from 2000 to 2004. — What a great place to work if you’re a musician/music lover! I felt right at home working and spending time in the very odd, colorful building, which was designed by famed architect Frank Gehry, and financed by Seattle’s own Paul Allen. I was a dedicated team member in EMP’s Visitor Services Department; but I often worked with the Education Department. I was one of the lucky “EMPeeps” who got to greet school-busses full of students, young and old, give them an orientation, and then launch them into the amazing world of EMP. The door through which the students entered the building happened to be located near the EMP café.There were always plenty of empty booths in the café where we Education staffers could regroup while waiting for the next bus-load of youngsters to arrive. It just so happens that, on several occasions, I encountered in the café, the drummer for the great prog-rock band Yes — Mr. Alan White. Alan was a friend of another unique, brilliant and spirited man, whose name was, actually, Reek Havok. Reek’s contribution to EMP was as an interactive designer for the award-winning “Sound Lab” gallery, where I also worked (if you can call it that!). 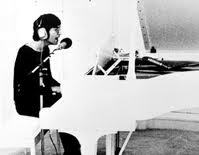 He was a very creative, cordial human being, and a great musician. I would find Reek and Alan in the café, where they would invite me to join them for coffee. 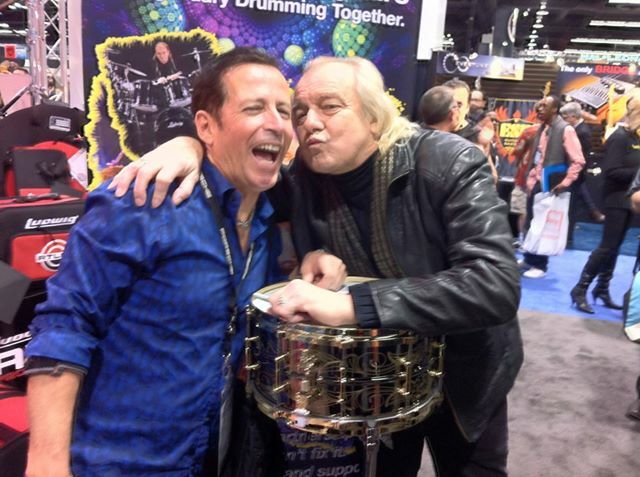 I’m not exactly sure why Alan White was there. He was good friends with Reek, and they obviously enjoyed each other’s company; perhaps he was consulting with EMP. Alan and Reek worked together and with several other great people, to persuade the State of Washington to issue a “Music Matters” license plate. Proceeds from sales of the plates help fund music education in our state. Yes was a very popular band at EMP. If you visit the high-ceilinged Sky Church, the Jimi Hendrix-inspired space which features the huge video screen, you will see a Yes time capsule set into the floor. It consists of a clear tile, covering a container which holds Yes artifacts. 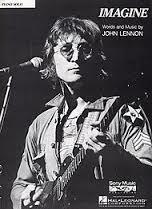 One thing that definitely never came up during my conversations with Alan White was the fact that he was the drummer on what has to be one of the greatest recordings of all time: John Lennon’s “Imagine”. I’ll tell you — had Alan dropped that factoid on me, I think I would have lost my mind! The author as Santa, with his friend, circa December 1983, Seattle’s Northgate Mall. 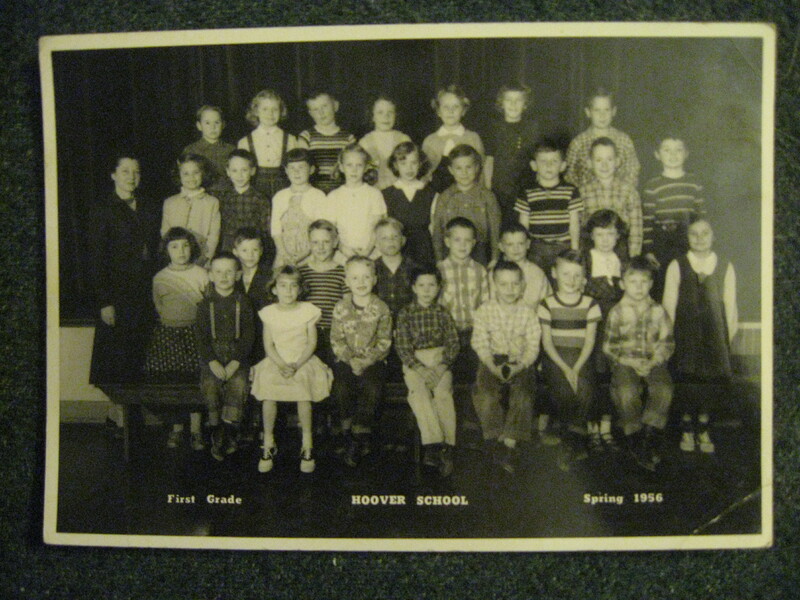 I was blessed to attend Hoover School in Yakima, Washington, from 1955-1959. I loved my kind, patient teachers. And I met so many wonderful classmates with whom I became friends. Learning together forms a special bond, especially at that age. Why, right now, I could rattle off the names of at least twenty of my old classmates, 56 years after the fact. 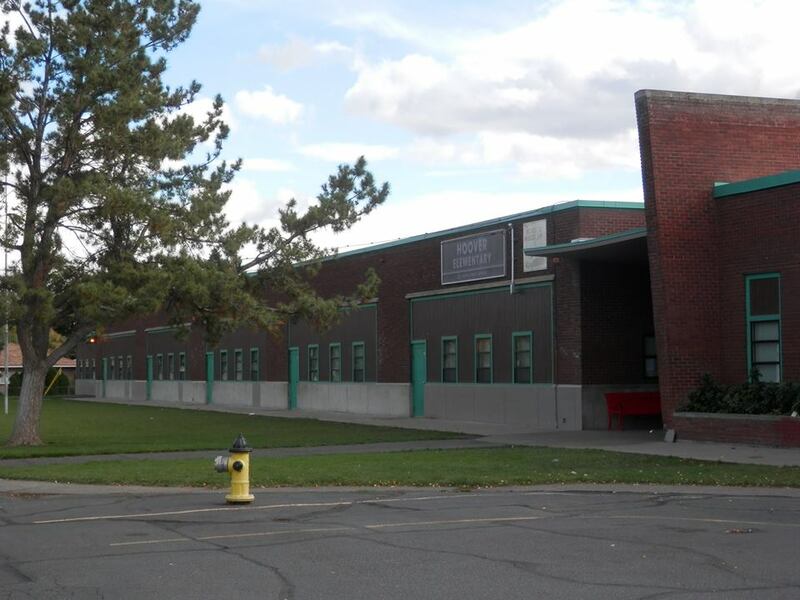 Hoover Elementary circa 2014. The building has yet to be replaced! I remember how, during the warm months, our teachers would take us outside to play marbles. Boys and girls often played together; we had all kinds of fun. I remember how huge collecting marbles was. And marble trading. At lunchtime, we’d play more marbles. That was one of the most fun things we did. We also played ball games. We played singing games. Fun was just a daily part of our schooling. — But the way we celebrated Christmas season at Hoover was really something! During the four years I attended Hoover, the routine went something like this: The school would acquire a huge, natural tree, which would be set up in the main building’s auditorium. 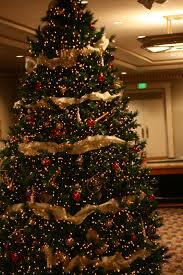 The tree must have been twenty feet tall (I don’t know for sure, because I was a little boy! But it seemed that tall.) The staff, or perhaps our friendly janitors, would beautifully decorate the tree, stringing it with the most colorful lighting. And then, every morning before school, for at least a week, we children were invited to come to school early and sit on the floor of the auditorium, near the huge Christmas tree, and listen to Christmas carols and holiday tunes. In those times, there were no I-Tunes or IPods, no Sirius Radio, no CD players. The music was played on one of those industrial-strength photographs every grade school seemed to have; and the records were spun by a kindly teacher or administrator located up on the auditorium stage. The songs were piped through the sound system. I remember the speakers were located in the ceiling, because the sound seemed to be coming from the heavens. I don’t know if the grownups were playing 78 RPM, 45 RPM, or LP records. But someone was there every morning, playing those records for us. The auditorium lights were brought down low, darkening the large room and enhancing the glow of the lights on the beautiful, fragrant tree. The scent of evergreen magically hung in the air. Every morning, we students would gather near the tree to listen together to the joyful, beloved carols: Hark The Herald Angles Sing, Silent Night, Joy To The World, Oh Little Town Of Bethlehem, Let It Snow, Rudolph The Red Nosed Reindeer…. What a magical, unforgettable time we had! I felt so safe and nurtured in that loving environment. When I hear carols today, I am often transported back to the floor of Hoover’s auditorium, where I sat with my brother and our friends, truly wrapped in a winter wonderland. When I was in first grade, my kind and gentle teacher, Mrs. Jordon, taught our class to sing Away In A Manager. I know that, for some of the kids it was something they were forced to do. But for me, it was as if someone lit a fire under me! Getting the chance to sing with my classmates at the school assembly was life-changing. The feeling I got, even while just practicing the song in our classroom, caused me to decide to dedicate my life to music. On the big day that the Christmas Assembly was held, I remember we singers stood near that beautiful Christmas tree and sang our song to the entire student body. It was a thrilling moment for me. Each class in turn, sang their songs to the rest of the school. We all got to sing, we all got to listen. And then, each child joined a line, and received a popcorn ball from Santa Claus, who, get this: arrived by helicopter! Since I went to Hoover for four years, I was able to enjoy this Christmas tradition while attending first, second, third and fourth grade. Then, I moved on to Nob Hill school, where I started fifth grade. I met a completely new bunch of friends and classmates. And I don’t remember what we did for Christmas at Nob Hill; but it paled in comparison to our Hoover celebration. I will always have fond memories of my time at Hoover, especially Christmastime. Joy to the world! See that Santa Claus at the top of the page? That’s me! 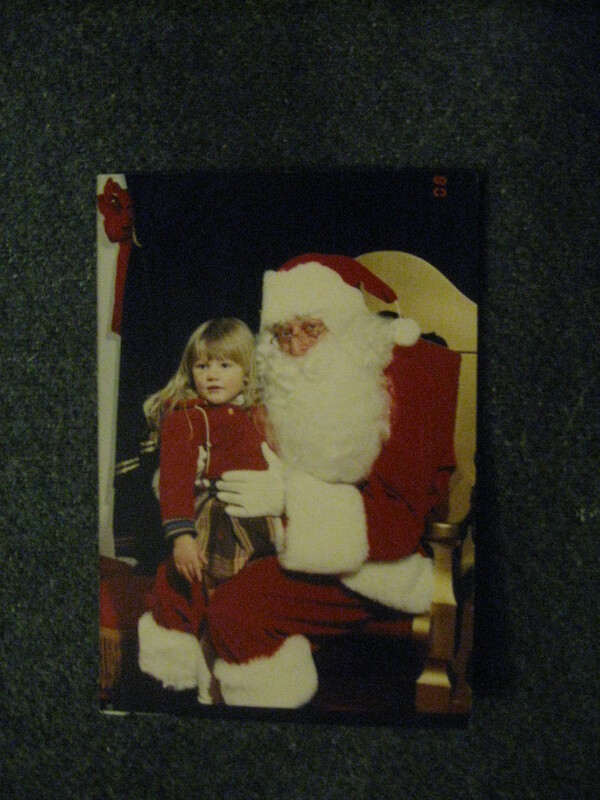 Yes, I was Northgate Mall’s Santa, in Seattle. And Santa Randy has a word to share: please don’t be sad that the “good old days” are gone. Christmas is in your heart. You can decide to make this Christmas your best ever! Please remember to spread the love. 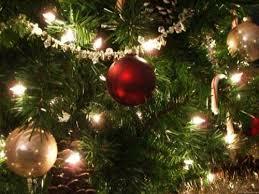 Postscript: I was contacted by another person who went to Hoover in the 50’s; she reminded me that we students were invited to bring an ornament for the tree, from home. Have you heard of the totally unique, classic country singer, Rose Maddox? She wore super-colorful “Nudie” suits, and she sang her behind off. 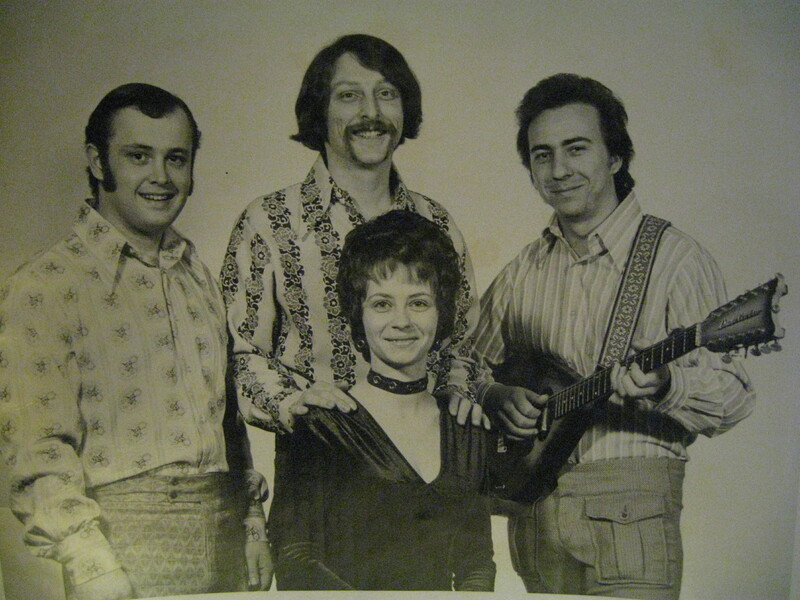 In the early 70’s, my Yakima-based band, the Western Electric Band, provided her backing music on several occasions. Here is the story. 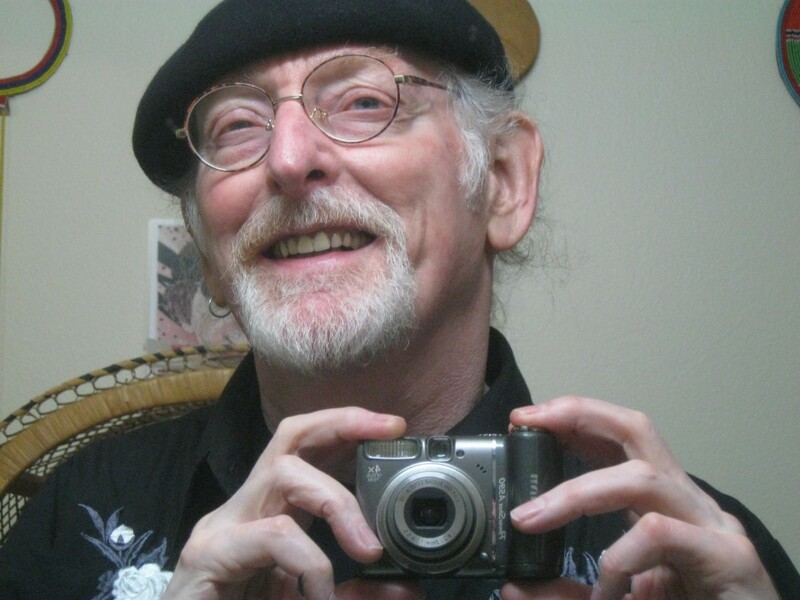 I formed the Western Electric Band in Yakima, in 1973. We were made up of a bunch of super-pickers. Yakima has long been known for its great musicians, and I’ve had the pleasure to call many of them my bandmates. The Western Electric Band often backed up nationally-known entertainers when they toured our area. This happened in a leading country music club, the Oasis in Goldendale. Goldendale is well-known as the home of some of America’s most beautiful Victorian houses. I recommend you go there to see the historic structures; then make the trip to the nearby, one-of-a-kind Maryhill Museum, where you’ll see amazing things! 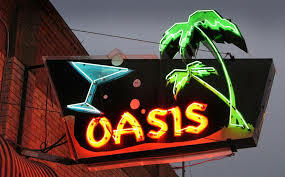 While the Oasis was located in Goldendale, the club was popular on a regional basis. The Oasis’ owner, Johnny Foster, had taken great pains to build a beautiful showroom called the Rock Pit Room. He engaged us to play in the Rock Pit Rim several nights per week, for two years. Johnny Foster had numerous ties to Nashville and Bakersfield, and he took advantage of his friendships to bring in guest stars, for whom we provided backup. Many entertainers travelled alone, sans band, in order to keep costs down. They would hook up with a local band wherever they were booked. 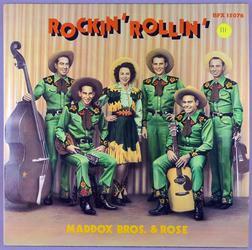 And, that’s how we wound up playing with the great western swing/early rockabilly artist, Rose Maddox. 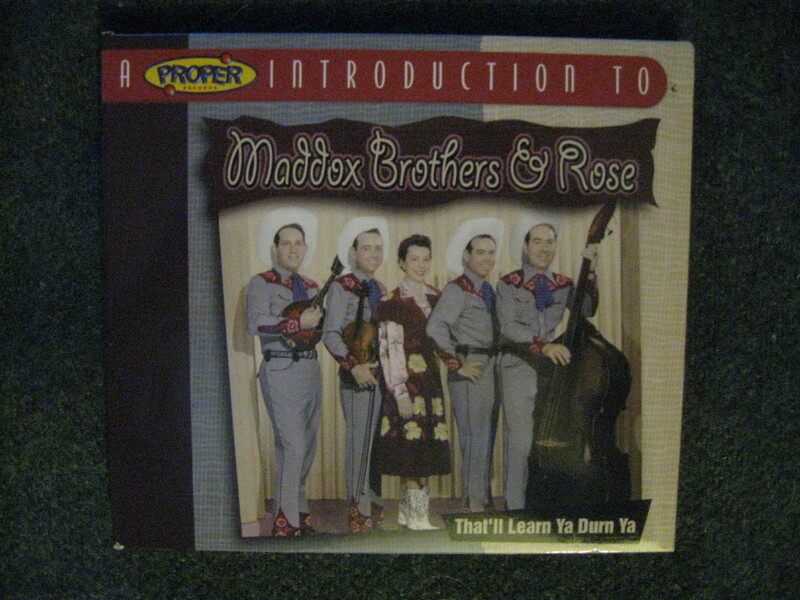 Let me share a little Rose Maddox history: Rose, born in Alabama, was an outspoken and highly original performer, who gained fame in the late-40’s/early 50’s while singing with her brothers in their act, The Maddox Brothers and Rose. Her high-spirited delivery, colorful “nudie” suits (embroidered/appliqued short skirts, vests and cowgirl shirts) and fancy cowgirl boots made her a stand-out in the world of female, countrified vocalists. The music she and her brothers made definitely leaned toward rockabilly. The band was described as “America’s Most Colorful Hillbilly Band”. But with their great energy, speedy delivery, twanginess and rambunctiousness, they were in reality, an early rockabilly band. Rose’s brother, Fred Maddox, is credited with developing the “slap bass” technique which produced a faster, rockabilly-style rhythm. 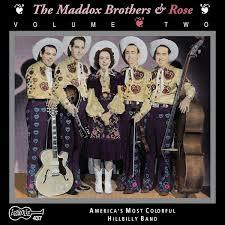 The Maddox Brothers and Rose enjoyed a good deal of success, and they produced some fine recordings. However, like most bands, they eventually broke up. Rose went on to make some great records with one of the kings of Bakersfield, Buck Owens. In 1961, Rose and Buck collaborated on “Mental Cruelty”, which climbed to #8 on the country music charts. Rose also made some fabulous solo albums. However, by the 1970’s, her career had taken a downturn, as had that of many earlier stars. Rock and roll, and “modern country”, had replaced her more rootsy, folky style. She was among the many artists who chose to go it alone, with no band; instead, she found “pickup” bands wherever she played, like my Western Electric Band. Playing with Rose was more than a trip; it was a white-knuckle flight! To begin with, she didn’t believe in rehearsing. She expected a band to either know her tunes, or to puzzle them out on the bandstand, in front of 200 people! Nine times out of ten, she would simply call out a chord – “G!” – and begin singing. We were expected to start playing; with the proper rhythm, and without missing a beat. By doing it this way, she made even easy songs hard! If we were very lucky, she would tell us the name of the song before she launched into it. Luckily, we knew a couple of her mainstays: “Philadelphia Lawyer” and “Rollin’ In My Sweet Baby’s Arms”. But face it, we were a bunch of under-30 rockers who somehow found themselves playing “country” music with a woman who was half-crazy, playing songs we had never heard of! So we had our work cut out for us. Rose had another, very disturbing on-stage habit, left-over from the days when she and her brothers would cut-up on stage, and one which led our club owner to hand the woman her walking papers. Rose would pretend to get mad and brow-beat the band, as part of her show. We were not the only band to experience this! She would openly criticize our playing, right over the mic, sharing with our audience disparaging remarks about our soloing ability, our knowledge of music, our long hair, or anything else she wanted to pick on us about! One night, she took this routine too far. This was after we had played with Rose on three or four other occasions. I guess she felt she knew us well enough to take extra liberties with us. She took one of drummer Stan’s extra sticks, walked over and hit our brilliant, well-practiced lead guitarist, Johnny St. Martin, right on the head. Johnny was suffering from the flu; it was all he could do to make the gig that night. After Rose hit him with the stick, she said, “Pick it, Johnny”, meaning it was time for him to play one of his dazzling, slippery guitar solos. However, having just been hit on the head by her, Johnny ignored Rose’s exhortations, and did not play a solo. Therefore, Rose yelled into the microphone, “If you won’t pick it, I won’t sing it”. She threw the mic down onto the stage, stormed off, and headed directly for the bar. I calmly approached my microphone and said, “Ladies and gentlemen, Rose Maddox”. Well, the drop-jawed, wide-eyed audience managed a polite smattering of applause. We proceeded to play-out the set; then we played the rest of the night without Rose. We later saw her sitting at the bar, getting hammered. That was the last time, while I was bandleader at the Oasis, that Johnny Foster contracted with Rose to be our “special guest star”. He gave us a permanent pass when it came to playing with her. There were plenty of other fine stars for him to team us up with, including Japan’s country singing sensation, Eddy Fukano; Stoney Edwards, an African-American country star; and the Bakersfield Brass, Buck Owens’ own incredibly talented brass section (what musicians!). The Western Electric Band went on to perform in Goldendale for two great years, making the nightly back-and-forth crossing of the dangerous Satus Pass (especially treacherous in winter!). — One time, Stan Ruehlow hit a deer, and it nearly landed in the front seat! — As happens, band members came and went. 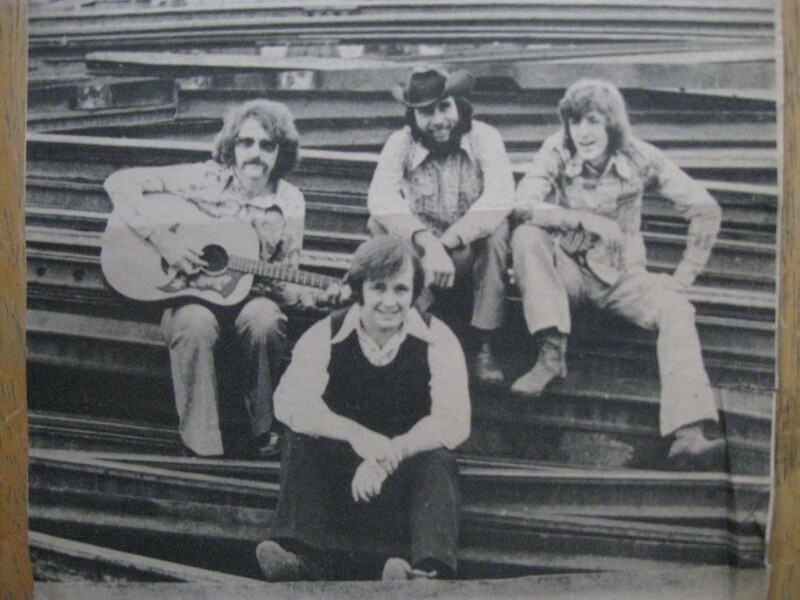 Yakima residents Dan Davis (guitar) and “Weasel” (bass/vocals) joined in, around late-1973. Their additions made that our very best lineup. Eventually, we became employed much closer to home; in fact, we started playing on a semi-regular basis at the Country Cousin, a country-rock club located near the Yakima Holiday Inn. I’ve written about one of our other adventures, in a blog post entitled “No Good Deed Goes Undissed”. 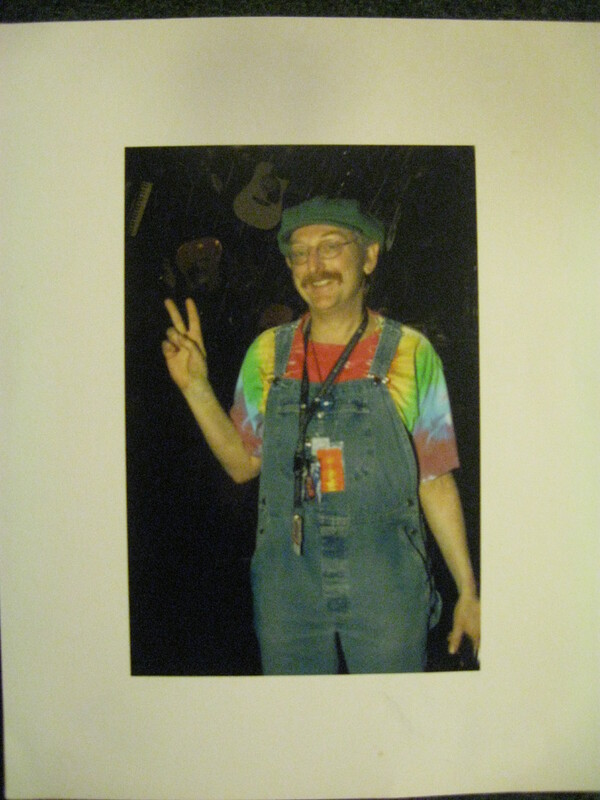 In 1974, I moved to Seattle, to play for larger crowds, in larger venues. 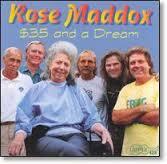 As for Rose Maddox, her career actually had an upswing beginning in the late 1970’s. I recall seeing her perform as a special guest on her friend Willie Nelson’s TV special. I’m sure that appearance alone, helped reestablish her career. Also, times changed, and her rootsy style regained its popularity. Fans, world-wide, once-again revered her music and that of other, similar artists. Classic country-roots music and rockabilly gained a large cult following. In 1994, four years before she passed away, Rose went into the studio and cut a Grammy-nominated album, “$35 And A Dream”. I’m so glad she had success late in life. Because Rose was a uniquely gifted performer. She could raise the roof of any honky tonk! She happened to have a stormy personality, but that does little to diminish the legacy of her music. If you’ve seen groups like The Wilders, or Ruby Dee and the Snakehandlers, you know from where their inspiration springs. 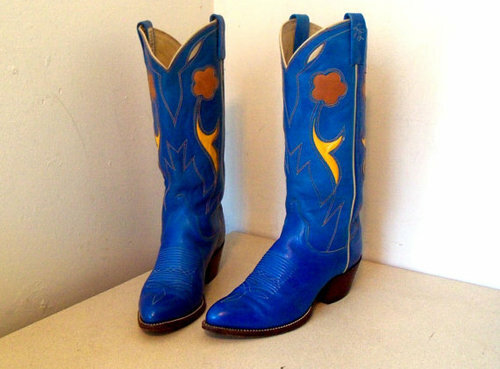 Rose’s cowgirl boots, as well as Fred’s stand-up bass, resided in the “Roots and Branches” exhibit at Seattle’s Experience Music Project for several years. I was employed in EMP’s Guest Services/Education Department for four years, and I had the distinct pleasure of pointing out to thousands of visitors and co-workers, Rose’s old boots, and Brother Fred’s “doghouse” bass. I had great fun sharing my tales of working with Rose with our guests. In fact, when country greats Kitty Wells and Johnny Wright visited EMP, I was invited to sit down and chat with them, to swap Rose Maddox stories. Rose had passed away by then. Kitty and Johnny considered her a best friend, and they expressed deep sadness over her departure. Now, of course, they have left us. The silver lining? Rose, Kitty and Johnny, along with all of the other greats, have bequeathed us their numerous recordings, which live on to this day. 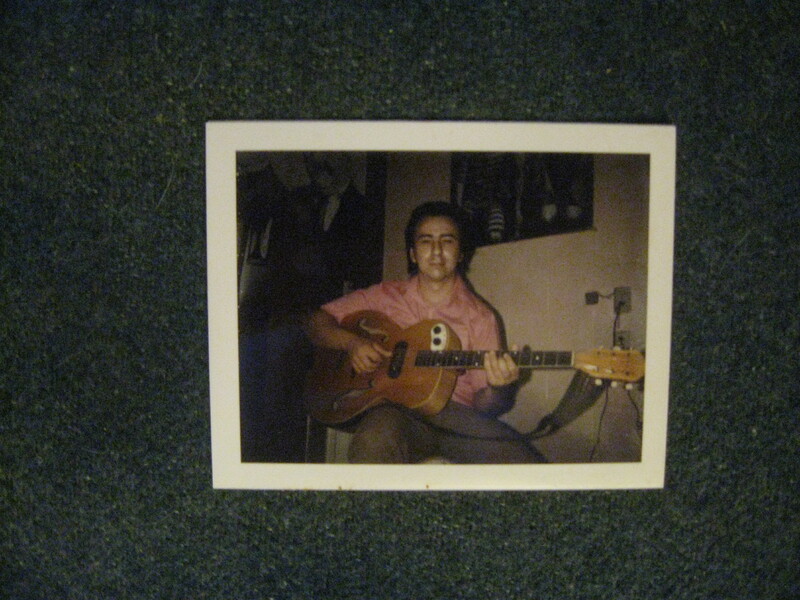 — Simply visit YouTube, to find a treasure trove of classic country and rockabilly recordings. It amazes me – or maybe it no longer does – how musical styles can go in and out of fashion. For you know, great songs and great performances are timeless. Rose Maddox is timeless. Here are 3 YouTube videos for you. You may need to copy the https addresses and paste them into your browser to make them work. Go on! You know how! The Western Electric Band’s sound was often augmented on the Oasis stage by the fabulous young vocalist/pianist, Melinda Ann Leonnig. She currently performs throughout the Northwest, under the professional name of Lindy Gravelle. Other musicians who had stints in the Western Electric Band include Portland’s late, super-talented Doug Atwell (fiddle); Yakima’s Coy Estes (drums/vocals); The Dalles’ Don Tibbets, of The Tibbets Brothers (guitar) and Tulsa’s Sidney Alnett (guitar).